I was introduced to David Lean's A Brief Encounter by Slavoj Zizek and Sophie Fiennes A Pervert's Guide to Ideology. The film is about a married doctor and a woman (also married) who meet in a train station and fall in love. The film documents their brief affair against a stifling atmosphere of propriety in Post-World War Two England. Zizek's analysis focuses on the scene that opens and closes the movie as a sort of bookend. Having decided to end their rather chaste affair, the doctor, Alec (Trevor Howard) and woman, Laura (Celia Johnson) are meeting in the train station for the last time to say their goodbyes. Their goodbye is interrupted by an acquaintance of the woman, who, having no understanding of the emotional scene she is interrupting, plops herself down and begins making inane smalltalk. For Zizek the fact that these two heartbroken lovers must say their goodbyes in front of a woman who must remain ignorant of what she is seeing demonstrates "the Big Other." She is the living manifestation of the "order of appearances," with its rules of propriety and decorum. The two star crossed lovers are forced to spend their last moments together pretending as if nothing important is happening, just two acquaintances who have waited for a train together saying goodbye. What Zizek does not mention, however, and what makes this film interesting, is that, as I mentioned, the scene in question is repeated, beginning and ending the film. When we first see it we (the audience) are also unaware of its importance, the woman, the acquaintance seems to be annoying, but we do not know what she has interrupted. It is at this point that the films narrative point of view shifts, the camera focuses on Laura (Celia Johnson) and we hear her interior monologue as a voice over. At first she simply bemoans the presence of the busybody, wishing that she was a true friend and not a passing acquaintance. As they board the train her annoyance passes to anger, and she briefly wishes this friendly but boorish stranger dead. Then, when she arrives home to her husband, she begins to silently confess her affair. The film then shifts to flashback and the story of their affair is told from the moment of their first encounter to the repetition of the difficult and awkward parting scene. As the story is retold the mood shifts guilt rather an annoyance or anger. This raises the question what sort of difference does this repetition make? The opening/closing scene is affectively overdetermined, melodramatic. Sadness, anger, desire, and guilt overlap and efface each other in a metastable state. Simondon and Spinoza, two of the primary philosophers of affects, both argue, in different ways, that affects are metastable. For Simondon affects are metastable because they are always in tension with perceptions: what we feel and what we perceive never entirely cohere in a stable unity. For Spinoza affects are metastable because the same thing, person or object, is alternately the cause of sadness and joy, hope and fear. Stability, unity, can only be retroactive. The repetition of the opening and closing scene then can be understood as an attempt to give stability to the affective tension that opens the film. As the narrative of the film unfold's and we learn of the fundamental decency of the Laura's husband, Fred. He maybe dull, spending each night doing crosswords, but that is to be expected given his social position. (The film's best line, uttered by Laura, illustrates the film's critical view of post-war or wartime British bourgeois Society, "Do you know, I believe we should all behave quite differently if we lived in a warm, sunny climate all the time. We shouldn't be so withdrawn and shy and difficult.") The affective tenor of the film turns towards guilt, and it is perhaps this retroactive centrality of guilt that earned the film its approval by the British Censor Board. The repetition of the scene, first time as melodrama, second time as lesson, reminds me less of Difference and Repetition than of Anti-Oedipus. In the long forgotten critique of psychoanalysis offered in that book, Deleuze and Guattari connect the analytic scene with a particular rhetorical temporal structure, a structure summed up with the phrase "So that is what this meant..."From this perspective psychoanalysis, especially in its oedipal version, not only makes retroactive sense of the preindividual affects and drives, it necessarily imposes an exclusive meaning on them, restoring sense to ambivalence. 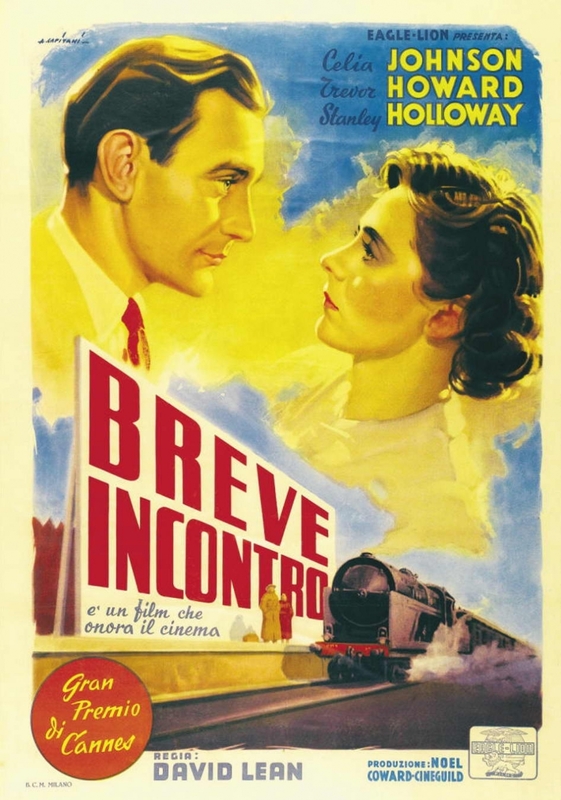 A Brief Encounter can thus be read not only as an illustration of the "big other" as the unavoidable and unbearable dimension of the social order, but as an illustration of the way in which film illustrate and put to work the affective tensions of a given historical moment. i read this article, this article is very interesting and informative..